Romania holds quite sizeable gold reserves, totaling 103.7 tonnes, about 60% of which are held in the gold vaults of the Bank of England in London. With many central banks in Europe active in recent years in repatriating gold from London and New York (the central banks of Germany, Netherlands, Austria and Hungary), it is perhaps not surprising that political pressure has appeared in Romania to limit the amount of Romania’s gold that can be stored aboard. This gold repatriation effort was crystalized in late February, when two high profile Romanian politicians, Liviu Dragnea and Serban Nicolae, submitted a parliamentary bill, that if passed by both houses of parliament (Senate and Chamber of Deputies), would only allow 5% of Romania’s gold reserves to be kept abroad. Dragnea is president of Romania’s Chamber of Deputies (lower house of parliament) and leader of Romania’s largest political party, the Social Democratic Party (PSD). Nicolae is leader of the PSD grouping in Romania’s Senate (upper house of parliament). The PSD is currently the senior party in Romania’s ruling coalition. By seeking to amend the management clause of the National Bank of Romania’s (NBR) statue to include a clause that prevents more than 5% of the Romanian gold being stored abroad, Dragnea and Nicolae’s bill would therefore force the Romanian central bank to repatriate up to 55 tonnes of Romania’s gold stored in London back to Bucharest. While BullionStar covered this Romanian gold repatriation development in an article in March titled “The Domino Effect – Romania joins Gold Repatriation exodus”, there have since been some interesting developments. The Dragnea and Nicolae gold repatriation bill, which was first submitted to the Romanian Senate, was actually debated and passed by the Senate on 1st April with 60 votes in favour, to 29 against, with 16 abstentions. Following this senate adoption, the bill now continues its journey to the Romanian chamber of deputies (lower house), but the journey will not be plain sailing. Not surprisingly, the Romanian central bank and its governor Mugur Isarescu are against any effort to bring the gold back from London and are equally furious about interference in the central bank’s “independence”. The central bank, now in panic mode, plans a board meeting to set out it’s opposition to the gold repatriation question, which it then plans to send to Parliament. The Romanian Legislative Council, an advisory body to parliament that provides opinions about draft acts, also pointed out that it interprets the proposed draft law as a change in the ‘state’ of the National bank of Romania, and such a change would need the opinion of the European Central Bank (ECB), to which draft bill proposer Nicolae countered that the national legislature has sovereignty, not the ECB, and that anyway, the “the NBR’s statute remains unchanged” with regards to its nature and its relationship with other institutions. Former Romanian president Traian Basescu has also chimed in, saying that the draft law is ‘a big mistake’ since the Romanian gold could not be used in a financial crisis if it was not located in London. While this is patently not true, it is one of the regular excuses used by central bankers for not repatriating gold. If that excuse doesn’t convince the parliamentarians, Basescu added another, also scaremongering about repatriation costs and security costs, something that the central banks of Germany, the Netherlands, Austria and Hungary didn’t seem to think was an issue when they collectively repatriated a few thousand tonnes of gold back to their home countries in recent years. With the draft bill having now moved to the chamber of deputies for consideration, a number of documents relevant to the bill have been uploaded to the chamber of deputies website, covering the adoption of the bill by the Senate, the opinion of the Legislative Council, and the opinion of the Economic and Social Council. For those versed in Romanian, these documents can be seen here. What’s ahead for this gold repatriation bill in Romania’s lower house of parliament is unclear, but with the bill’s originators and their allies having a near majority in the Chamber of Deputies, there is still a realistic chance that the draft law will be enacted, thus forcing the Romanian central bank to bring back to Romania the majority of gold bars that it has in storage at the Bank of England in London, some 55 tonnes or so. Italian Gold – Owned by the State or the Central Bank? Elsewhere in Europe, national gold reserves are also causing conflict between a national central bank and its national parliamentarians, specifically in Italy, where the current Italian government comprising a coalition between the League party (Lega) and the Five Star Movement (M5S) is seeking to clarify who actually owns Italy’s vast gold reserves, the Banca d’Italia (central bank of Italy) or the Italian state and its citizens. Since Italy, with claimed gold holdings of 2,451.8 tonnes of gold, has the distinction of being the world´s fourth largest gold holder after the US Germany, and the International Monetary Fund (IMF), the stakes in this conflict could not be higher. Furthermore, since Italy has supposedly nearly half of its gold (nearly 1,200 tonnes) stored in New York at the vaults of the Federal Reserve Bank of New York (FRBNY), the fact that this gold has not been seen for many years could cause consternation at the FRBNY if gold repatriation moves from Italy begin anytime soon. Unlike many central banks which just manage national gold reserves on behalf of the State, the Banca d’Italia actually claims it owns the Italian gold reserves and specifically says so, for example in a 2014 document it published in which it said “La proprietà delle riserve ufficiali è assegnata per legge alla Banca d’Italia – The ownership of official reserves is assigned by law to the Bank of Italy.” However, Italy’s current crop of politicians would beg to differ. In Borghi’s view what is “undoubted is the ownership of the gold that was and is of the Italian State.” In February, BullionStar covered the full background to this Borghi bill in an article titled “Italy’s Gold enters the Political Fray. But who really owns it?“. And like in Romania, since then there have been some interesting developments, specifically earlier this month on 3 April when a Lega-M5S motion calling for the definition of ownership of the the Italian gold was passed by the Italian Senate. 2) to adopt the appropriate initiatives in order to acquire, also through the Bank of Italy, news relating to the size and state of preservation of the gold reserves still held abroad and the methods for their possible repatriation, as well as the relative timing. 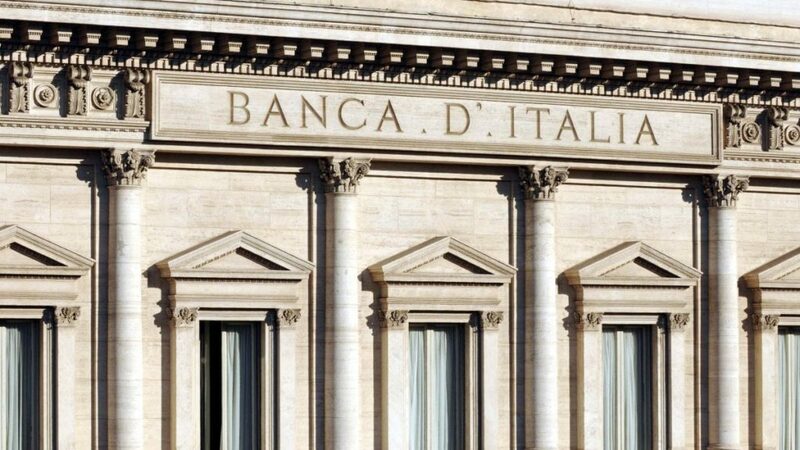 But as to how the Italian government will go about adopting “the appropriate initiatives in order to define the ownership structure of the gold reserves held by the Bank of Italy“ remains to be seen.